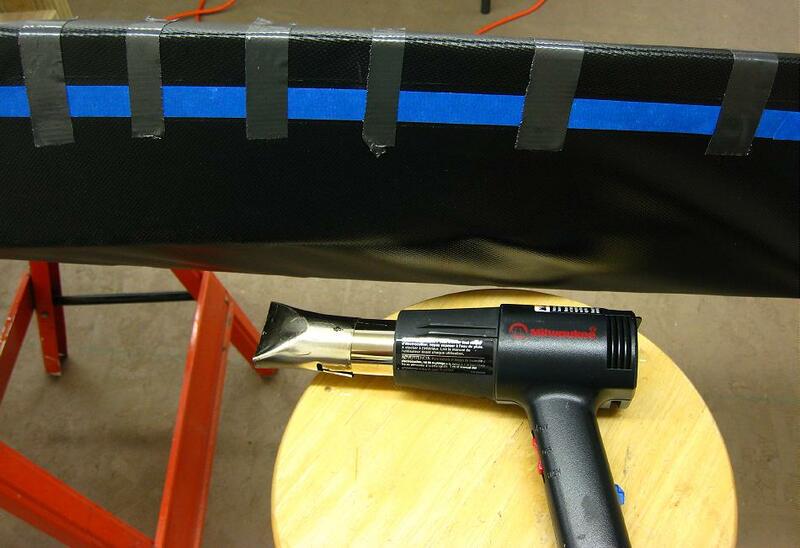 Once dry, overlap the deck and hull and tape in place. Apply heat and pressure to insure a good bond along the forward and aft deck sections. At the ends, trim the skin to fit over the stems.